Beginning with 1 Timothy 4:16, Spurgeon explains that there is “special care” that is to be taken of the minister by the minister. He says, “We are, in a certain sense, our own tools, and therefore we must keep ourselves in order.” With that in mind, he gives a certain number of criteria that demonstrates the minister must be “saved.” He says, “He who presides over a system which aims at nothing higher than formalism, is far more a servant of the devil than a minister of God.” Such a minister must not be a novice, and “must be a mature and advanced believer.” The minister is in need of “vigorous piety,” because, “our danger is so much greater than that of others.” He quotes John Owen, “No man preaches his sermon well to others if he doth not first preach it to his own heart.” Spurgeon’s point is that the minister, in his personal character, must agree in all respects with his ministry. I disagree with Spurgeon’s “right to disseminate the Gospel” by any Christian. This must be qualified by the difference of preaching the Gospel and the testimony of faith by a believer when they are asked about their beliefs. Spurgeon says, “to the work and office of the bishopric, in which is included both teaching and bearing rule in the church, which requires the dedication of a man’s entire life to spiritual work, and separation from every secular calling, 2 Tim. 2:4, and entitles the man to cast himself for temporal supplies upon the church of God, since he gives up all his time, energies, and endeavors, for the good of those over whom he presides, 1 Cor. 9:11 ; 1 Tim. 5:18. Such a man is addressed by Peter in the words, “Feed the flock of God which is among you, taking the oversight thereof,” 1 Pet. 5:2.” This is interesting to me seeing that Spurgeon “requires” full dedication in this way and gives no point or leeway here to some kind of bi-vocational ministry. Spurgeon rightly makes the idea that in the calling of the ministry, “surely a steward must hold his office from the Master. He cannot be a steward merely because he chooses to be so, or if so regarded by others.” Such is often the case in many contemporary settings. He asks, “how may a young man know whether he is called or not?” First, there is an “intense, all-absorbing, desire for the work.” It must be “thoughtful,” not sudden or impulsive. 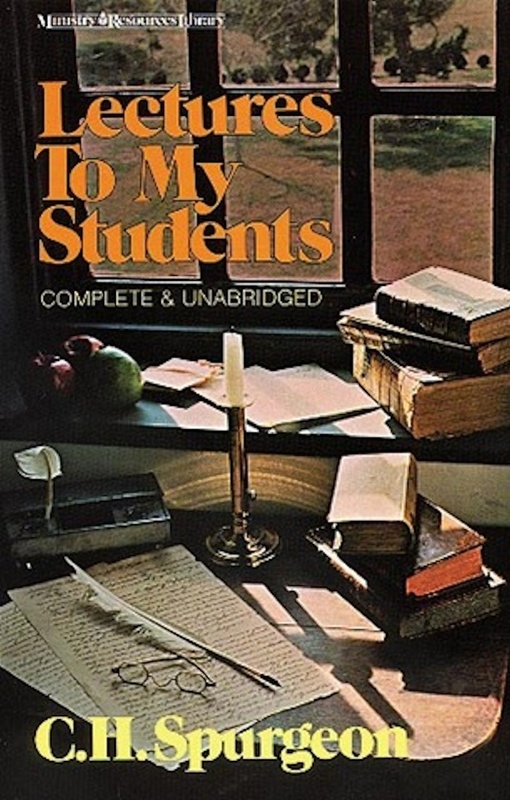 It must be a desire that “continues with us.” There must be, “aptness to teach, and some measure of the other qualities needful for the office of a public instructor.” This is far different than saying there must be a, “desire,” to teach, but rather, an ability to do so. Many have the desire, who have no skills in fulfilling it! Also, there, “must [be seen] a measure of conversion-work going on under his efforts.” In the list of 1 Tim. 3:2-7 and Titus 1:6-9, I don’t find “conversion statistics” as a qualification. Certainly there have been many good ministers who have preached for years seeing little to no conversions. Spurgeon’s opinion is that if a minister is not seeing people converted under their preaching and catechizing ministry, they have “made a mistake” in choosing their vocation. I wonder what he would have thought of Jeremiah, or Moses? Another qualification, Spurgeon’s fourth overall, is that the preaching ministry of the minister should be “acceptable to the people of God.” He means that no one can be a pastor without the loving consent of the flock – that your ministry is only affective when they hear you teach them. Too many preachers enter the pulpit and have no idea “why” they are doing so. As a matter of fact, when pastors say they have not made up their minds on theology, they ought to “go back to the Sunday-school until they have.” How can a minister lead others when they cannot settle themselves? The preacher must always be praying, and this should be a hallmark in his ministry. “All our libraries and studies are mere emptiness compared with our closets. We grow, we wax mighty, we prevail in private prayer.” Spurgeon says, “The best and holiest men have ever made prayer the most important part of pulpit preparation.” The reasons are that 1) prayer will singularly assist you in the delivery of your sermon, 2) demonstrate your need of Gods help, 3) allow you to preach with unction from the Holy Spirit, and, 4) press you to congregate together with other ministers to pray for each other and their ministry. Dissenters merely assemble to hear sermons where Christians come together to pray for the success of the Gospel. The minister not only engages in private prayer, but public prayer. Spurgeon says, “Be assured that free prayer is the most scriptural, and should be the most excellent form of public supplication.” This is in contrast to “planned prayer” or prayers written down. Spurgeon believed, like so many abuses in his day, that one needed to rely on the Spirit instead of the formality of the church in his day to plan these things out. He saw this kind of praying as, “more spiritual and earnest,” than liturgical devotion. This is where the “Lord alone” is the object of your prayer, not the manner in which a prayer is given before men. Such things to avoid in public prayer are 1) vulgarities, 2) a superabundance of words, 3) a demanding of God, and 4) a time of talking instead of praying. Also, in following Baptist theology, Spurgeon says that people ought not to choose men to pray for the sake of honoring them. Prayer should be 1) a matter of the heart, 2) appropriate, 3) not too long, 4) not trite, 5) with varied length and currant, and 6) prepared. By “prepared” he means that when prayer is done, there is a definite “errand” to prayer, as one man said, “because I always have a definite errand when I pray.” Let your prayers be earnest, full of fire, vehemence, and prevalence. Care is to be taken here, for in my opinion, Spurgeon was a master at spiritualizing the text beyond what a text taught. I’m reminded of a sermon he gave on, “She, supposing Him to be the gardener,” (John 20:15), and running with that text to explain how God will pick people from His garden like flowers when they die. That’s not what the text teaches, but it surely was a flowery sermon. He says, “but also draw from them meanings which may not lie upon their surface.” Certainly he says there are “certain limits and boundaries” to this. 1) Do not violently strain a text by illegitimate spiritualizing. This is a sin against common sense. 2) Never spiritualize on indelicate subjects. 3) Never spiritualize to be “clever.” 4) Never pervert Scripture. He concludes in saying that “by discretion and judgment, we may occasionally employ spiritualizing with good effect to our people; certainly we shall interest them and keep them awake.” I don’t believe this should be the reason ministers spiritualize anything, and I think “spiritualize” is a word that is often abused in this context, as if spiritualize means to change the text in some way, where the good of the text might be seen in a further demonstrate thoughtful expository preparation. Spurgeon begins his important chapter on the voice by saying, “Do not think too much about it.” Why? The voice is really a secondary matter. In some ways I believe it is vitally important because a minister who has a voice that sounds like he’s just sucked up a helium balloon may not be taken as seriously as he ought simply because by providence he has been given a high voice. It should be considered, though. Simply, as Spurgeon says, “ring the whole time in your steeple.” Basic ideas here should be, 1) Always speak so as to be heard. 2) Don’t rapidly speak. 3) Don’t exert your speech to the utmost every time you preach, varying its force, and moderating your tone, and 4) Always suit your voice to the matter being preached. Two other important points are to educate your voice, and to take care of your voice. Both which demonstrate the minister taking heed to himself to use his tools effectively. How does one retain the attention of the hearers? Spurgeon says, “Their attention must be gained, or nothing can be done with them: and it must be retained, or we may go on word-spinning, but no good will come of it.” There is a fine line here of preaching to attain their hearing, and preaching to tickle the ears. In Spurgeon’s day people traveled great distances to hear good preaching. He says, “Give them something striking, something that a man might get up in the middle of the night to hear, and which is worth his walking fifty miles to listen to.” This is still the case but in a different way. Contemporary churches decide that modifying everything in the service to fit culture is the answer, where the true minister modifies the preaching material to fit the considered needs of the congregation. He says, “Your people need discourses which have been prayed over and laboriously prepared.” The trained ear can quickly weed out poor preparation, and ill-study. Certain conclusions should be drawn to keep the attention of the listener. 1) Do not make the introduction too long. 2) Do not repeat yourself. 3) Avoid being too long. Spurgeon believes here that sermons ought to be 40-45 minutes. He says that they should not get wearied by your preaching. Now, I take issue with Spurgeon when he says, “Very strongly do I warn all of you against reading your sermons.” When a minister has the ability to do this without sounding like he is doing this, then I believe this is the greatest, safest and most powerful manner of preaching known to church history. Yet, if one cannot do this, it will be a disaster. Spurgeon says that impromptu speech should not be done unless the topic of study has been studied much, and the minister is exceedingly familiar with the content so as to deliver a sermon seemingly impromptu. Really, though, it is only the words which may render something this way, because the matter of the subject is already attained in the mind. What happens when the minister is overwhelmed with melancholy? Generally, most men are unsound in their physical bodies in some way (Spurgeon being plagued with gout), and so it is not a wonder that emotionally they are stricken in some way. Ministers ought to be readily aware of their friends and fellow ministers who may be in such straights. Oftentimes this is overlooked. Spurgeon says, “Who can bear the weight of souls without sinking to the dust?” He says, “Many of the best of ministers, from the very spirituality of their character, are exceedingly sensitive — too sensitive for such a world as this. A kick that scarcely would move a horse would kill a sound divine.” Ministers ought not to be dismayed by soul-trouble. This should be counted as normal ministerial experience. A good summary of this chapter is when Spurgeon says, “There is such a thing as trying to be too much a minister, and becoming too little a man.” Though a minister is on duty, he should still be a man, yet remembering that he really has no time off from being a minister. The Christian minister out of the pulpit should be a sociable man, not a hermit or a monk. He should be cheerful, not always seen as with solemnity. They should not overpower the conversation as to always take it over, but they should always try to steer the conversation to profitable use. He is gentle in his arguments, and firm in his principles. By a slender apparatus Spurgeon means that they have few books and little or no means wherewith to purchase more. In our own day, this is a total non-issue. The internet affords the minister the ability to glean from countless books and websites that can furnish him more research and biblical ability than at any other time in church history. Spurgeon says that if a man can only buy a few books, let him purchase the best, and master the books he has. I must say, that from my own personal experience, on initially reading this book many years ago, this point was one of two points which profoundly affected my ministerial walk. Mastering what I had was more profitable than reading millions of pages. For a minister to master 10 of the best works available for free online today may be better to bring their congregation closer to Jesus Christ than being a learned scholar with years of research and seven degrees. How can ministers lose the Spirit’s influence? 1) A lack of sensitiveness to the Spirit’s leading. 2) A lack of truthfulness. 3) Laziness. 4) Pride. And, 5) A neglect of private prayer. And what will happen if the Spirit leaves his ministers? IT will show that we were never God’s ministers, and we may be abandoned of our life’s work as Moses did before he died, not going into the promised land. Progress is more important than can be said in ministerial aptness. It is necessary that the minister improve in his mental acquirements, his exercise of expository ability, his exercise of information (such as current events or science), his exercise of oratory and skill, cultivation of a clear style of preaching, cultivation of a cogent style of preaching, and cultivating persuasiveness. The point here is not that ministers acquire “some level” of these things and rest easy, but rather, become better, not simply by exercising preaching in the pulpit, but by building up and edifying the other six days of the week. There are also certain qualities that must be shunned and discarded such as self-indulgence, unrestrained tempers, and conquering levity in our conversations; while at the same time acquiring such things as courage, zeal, mental and moral power, and all manner of spiritual qualifications. Especially, the minister is to know Jesus Christ. This is different than being saved by him, but rather, knowing him intimately in conversation and devotion. As Spurgeon says, this is, “dwelling in God.” This will press the minister to go forward in accomplishing actual work for the Gospel and the ministry. A good summary for this chapter is Spurgeon’s opening, telling of his times, which is equally true in our time, “Some things are true and some things are false: I regard that as an axiom; but there are many persons who evidently do not believe it. The current principle of the present age seems to be, “Some things are either true or false, according to the point of view from which you look at them. Black is white, and white is black according to circumstances; and it does not particularly matter which you call it. Truth of course is true, but it would be rude to say that the opposite is a lie; we must not be bigoted, but remember the motto, “So many men, so many minds.”” No one will ever be saved by erroneous doctrine, and so ministers must be sure to hold fast to the truth. Spurgeon says, “When a man knows he is telling you the truth, everything about him corroborates his sincerity,” and this is true of ministers as well. Such as, known not only by our speech, but in all our daily actions. Ministers must be zealous for the truth, and it must show in their outward work in the ministry. It should never be said, as of Summerfield, “That eminent American preacher, the seraphic Summerfield, when he lay a-dying, turned round to a friend in the room and said, “I have taken a look into eternity. Oh, if I could come back and preach again, how differently would I preach from what I have done before!” We must always preach like a dying man to dying men, ready to screw the truth into their minds, having mastered it ourselves at the feet of Christ. Spurgeon felt it was important, especially in the manners of his day, to explain the history of open air preaching. In chapter 17 He covers in this history of open air preaching beginning with passages from the Bible (showing the prophets and Christ preached this way), how the apostles did this, the friars of the dark ages, through to the Reformation. Spurgeon borrows from Wylie’s “History of Protestantism,” Gillie’s, “Historical Collections,” concerning Wishart, passages concerning Latimer, the Puritans, preachers like John Welsh and unfortunately includes John Wesley. He only makes mention of the Methodist ministers (why not more on Whitefield! ), and the ministers in America like Peter Cartwright, and those of the camp-meeting sort. Since the sermon itself is the main thing in preaching, posture, action and gesture are relatively small matters, but important because they can hinder a sermon greatly. One must overcome being awkward, feeble utterance or a lack of power in direction. Spurgeon doesn’t like pulpits. This is subjective to me. Spurgeon walked around having little to no notes in the way he preached. Edwards preached from his notes, as did Samuel Willard, as did many of the Assembly. They all had pulpits they preached from. If one uses notes, this is indispensable. Some men are made awkward through fear. But this is something ministers must quickly get over for fear of men has no place in preaching. Posture should not be one of fear, but should be natural, not slouching, but active, and animated. Action, though, should never be excessive. It should be punctual and deliberate. When one overdoes things in the pulpit, they tend to “look ridiculous.” This will detract the truth of the sermon from the listeners who is more apt to consider the ridiculous nature of the minister than the sermon. I particularly liked Spurgeon’s final thoughts in this chapter when he says, “every unearnest minister is unfaithful.” Would this not disqualify so many who are unearnest? Those without zeal for God’s truth? What does a minister do with “talk around church?” Spurgeon says, “You cannot stop people’s tongues, and therefore the best thing is to stop your own ears and never mind what is spoken.” In other words, “you may say what you please, but I will only hear what I choose.” This means that the minister should remain deaf and blind to longstanding differences in the church when they begin their ministry. This will come in especially handy to those in relation to gossip in the church. Never listen to such people. (This is, though, easier said than done.) It is far different to receive criticism from your friends than gossip in the church. To the friend one must listen. The grand object of the Christian ministry, or anything done for the Gospel, is the glory of God. Spurgeon says, “Our great object of glorifying God is, however, to be mainly achieved by the winning of souls.” Spurgeon says ministers in the ministry “must see souls born unto God.” But this is wholly dependent on the Spirit of God. Yet, there is a means to this end, which is to preach Christ crucified. The truths to be preached surround conversion, justification, God’s glory, Christ’s work and atonement and can house a variety of manners in stylistically preaching based on what topic is pursued. After preaching, there should also be instruction, and availability to those asking questions. Why do illustrations exist? Spurgeon quotes Fuller, “to let light in.” (As if Scriptural light is not enough?) Illustrate means “to brighten with light.” Illustrations make a sermon pleasurable and interesting. Spurgeon’s hopes are that all sermons should be pleasantly profitable. Illustrations enliven an audience and quicken attention. It is at least good that Spurgeon warned his students, “Do not let the sermon be all illustrations.” This is generally the case with those who think that illustrations are in fact sermons because they highlight the overall “gist” of the message. And if the message is highlighted, then they have done their job. Spurgeon says that illustrations should not be too prominent. I’m confused. Isn’t the point of the illustration to “let light in?” How can they not, by definition be prominent? If they are not to be prominent (and I think they ought not), then they should be discarded to allow the word of God to be taught plainly and prominently. Spurgeon said the purpose of using these anecdotes and illustrations is to gain the attention of the hearer. He says that “in some audiences, we cannot get it if we begin with solid instruction.” I disagree whole heartedly. Spurgeon says such people are dull to understand doctrines and duties. Such additions to preaching, as I will call them, help the memory grasp the truth. In other words, it would be better (?) for people to remember an illustration about a horse, than it would be to remember what Christ taught on a particular text. I don’t think so. Spurgeon also says that these illustrations arouse the feelings. And the Scriptures do not? Spurgeon also says that illustrations “catch the ear of the unthoughtful and ungodly.” I suspect that Scripture does that more intrusively. Chapter 27: Where Can We Find Anecdotes and Illustrations? Spurgeon exhorts his students that no one really needs to make up their own anecdotes and illustrations. This is odd to me. Generally, those are the “best kind” seeing they come from thoughtful others who thought them up. He says such things can be found in the newspaper, current events, modern history, the times of the reformation, religious history, and the use of teaching your children. This final chapter was a lesson in science and astronomy. Spurgeon takes an inordinate amount of time, the longest in the book (pages 413-443), to show how science can furnish the thoughtful preacher with lots of illustrations. Again, this was not a helpful chapter for me, though the information he provided may be relevant at his time. Today, anyone can go on a myriad of internet sites to glean great mountains of information on almost any subject they think might further help illustrate the bible (?). I think their time would be better served being more painstaking at the work of hermeneutics and exegesis, and then homiletics in order to rightly divide and deliver the word of truth to their hearers. Let them be impassioned about that more than whether they are spending enough time gathering illustrations to replace biblical content in a 20 minute sermon. Spurgeon, Charles, Lectures to My Students: Complete and Unabridged, (Grand Rapids, MI: Zondervan, 1954), p 7. Page 9. This seems obvious, but in our day is taken for granted. Page 11. Just previous to this, he made note that congregations ought to be aware of “shoddy” ministers. Page 13. As a side note, I was impressed with his quote from John Angell James who said, “When a preacher of righteousness has stood in the way of sinners, he should never again open his lips in the great congregation until his repentance is as notorious as his sin.” (14). Spurgeon calls this external witness “occasional preaching.” Page 22. Page 55. Done correctly, I would disagree with Spurgeon here. Planned prayer is no less prayer. And if prayer is touting God’s word back to him in the form of an argument, then prayer must be studied and set in some ways since the bible never changes. Ibid. So many Christians seem to do this in prayer when they say talk about praying while praying instead of actually praying. Page 58. The Regulative Principle would not allow anyone to “get up and pray” during a church service. Note must be made here that if the fashion and form of the truth preached here is not clear, concise, and precise, the truth might be lost. Page 81. Daniel P. Kidder, A Treatise on Homiletics, Designed to Illustrate the True Theory and Praetor of Preaching the Gospel. Ibid. I’m not sure, here, how this can be avoided. In order to find what might lie underneath a passage, one must be quite clever, as the reader would see in reading Spurgeon’s sermons. Page 115. This is sometimes exceedingly important when ministers behind the pulpit mumble. Page 133. Oftentimes this overshadows the text itself! The other point is discussed by Spurgeon later on in connection with preaching and the Holy Spirit. This is my second main point from the book. Pages 213-214. Martin Luther used to say that temptation is the best teacher for a minister. I’ve seen some preachers standing by the busy roadside as people stopped at traffic lights while they screamed into an amplified mic to preach with little effect. Who am I to judge that no fruit came of such a thing. Maybe the drivers thought about their dedication, or their absurdity, and further aggravated their hellish condition. Maybe one person got out of their car on the busy street (though I’ve not seen this) and listened to him preaching. Certainly open air preaching has some application in busy city street where thousands of people congregate, and certainly it has application in some countries around the world where you can simply get up on a box and start preaching, but I’ve seen little effectiveness of it here in our own day, in American cities. In my own experience on this, I’ve found it more helpful to preach door to door, than simply start preaching in the middle of the field, or parking lot. I’m not disparaging this at all, only conveying a short reference my personal experience with it in the areas I lived. Page 255. Who among us do we see this done regularly? This is where I have found in many Baptist churches, that preaching on Sunday Morning usually centers on winning souls, and other stated meetings were to edify the saints (like Sunday School or a Wednesday night meeting). I find this to be horribly wrong. Though the Gospel should be preached in its varied facets, public worship is not centered on winning souls. It is worshipping God in spirit and truth for those who are born from above (See John 3-4). I personally have a very difficult time when preachers tend to spend “time” explaining with illustrations what the text of Scripture means instead of explaining clearly what the text of Scripture means. Spurgeon spends chapters 24-28 inordinately explaining why anecdotes and illustrations are so important. I will only make a brief critique of this here, and then simply summarize the most important parts of his chapters. Keep in mind, I’ve previously read quite a lot of Spurgeon’s flowery sermons which often spiritualize great portions of the text, and are often not very exegetical or expository. Also keep in mind that in his day, preaching overall was dull, and his flowery style and impact was enormous as a result. But it will continue to be my opinion that good preaching needs little illustrative help. When I read Puritan sermons, they often will give an illustration or anecdote that lasts but a moment; what I call a zinger. These are one liners which sum up a point. Richard Baxter said, “We must preach like a dying man to dying men.” That’s it. Then he’s back to his text and purpose. Or, Thomas Coleman said, “Lack of praying comes from lack of knowing.” Most of the puritans dealt this way, as did Calvin. They rarely ever told “stories” which is what preachers nowadays consider “illustrations.” Spurgeon, in this way, I think, has muddied the waters. When I read Gospel Worship by Jeremiah Burroughs, 13 Sermons on…. [wait for it]….Leviticus 10:3, I remember Leviticus 10:3, not an illustration about a pig and dog in a farmyard, or the new-fangled wig of the day in modern England, or a bad crop of corn during a harsh summer. I want to remember Leviticus 10:3. That means the preacher needs to do a darn good job at exegesis and homiletics in order to make that happen. But that is exactly what he should be doing. And let me say, when you finish the first sermon of Burroughs work, you remember Leviticus 10:3; and more so after 13 sermons on that subject. Ibid. It seems Spurgeon believes that Scripture is not so bright, and needs to be brightened more? Pages 399-408. This was, for me, a useless chapter.